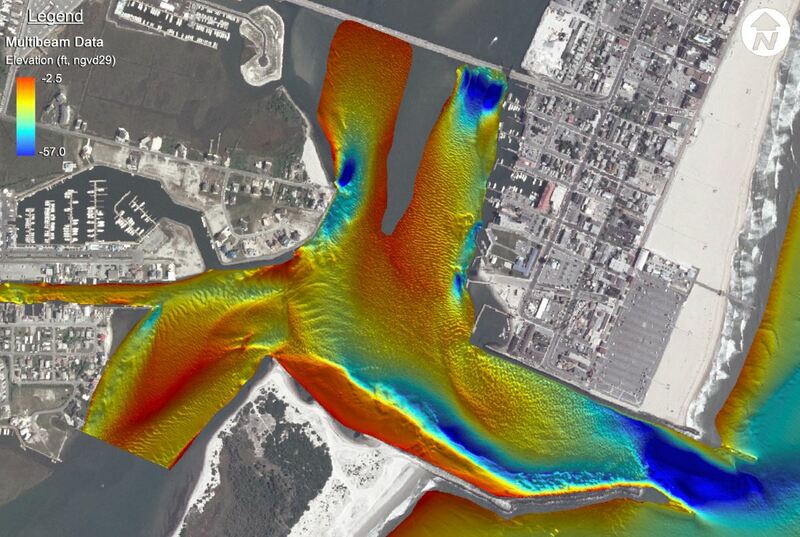 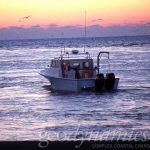 Geodynamics has performed nineteen high-resolution multibeam bathymetric surveys of the Ocean City Inlet system before and after regular dredge maintenance. 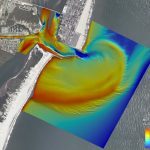 Geodynamics also maintains the hydrographic database for the inlet and provides analysis of the data for various project designs, modeling, and monitoring elements completed by Offshore & Coastal Technologies. 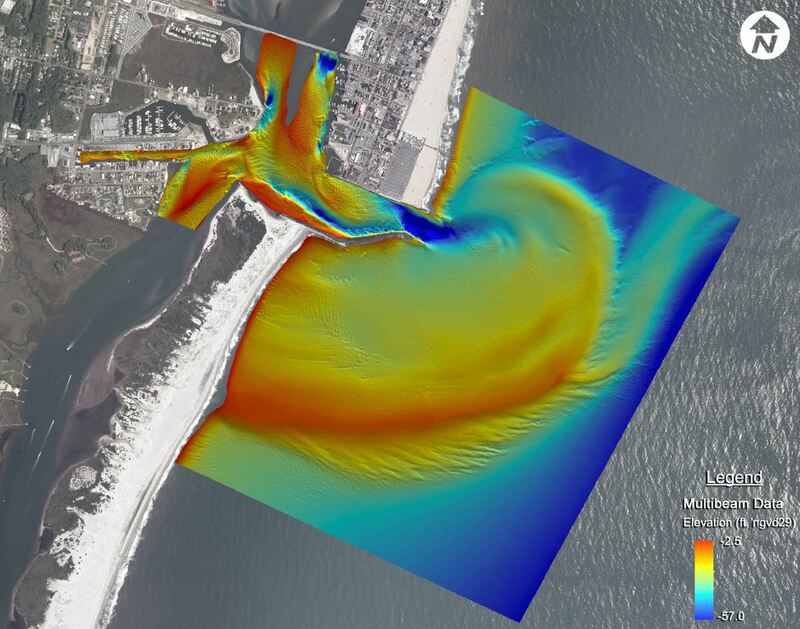 The Ocean City Inlet project was initiated to define sand capacities for sediment bypassing from the inlet complex to Assateague Island, and is part of one of the country’s most comprehensive sediment management programs. 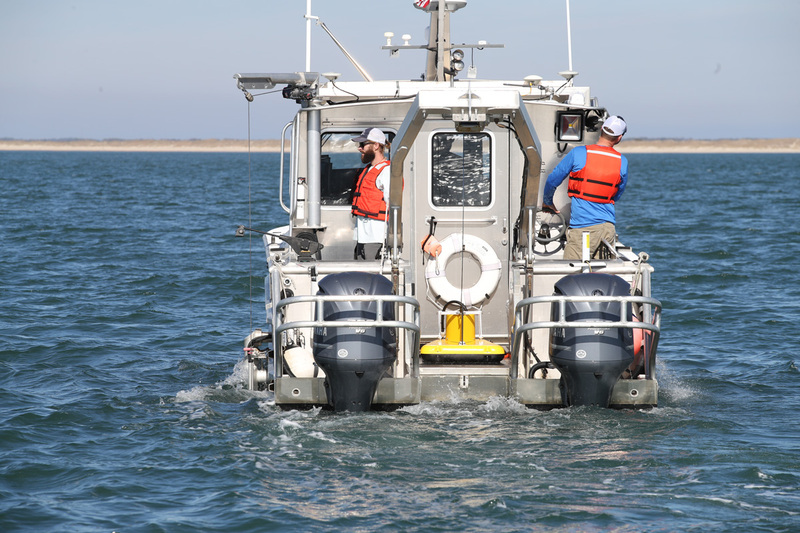 Since 2003, the repetitive multibeam surveys have been an integral part of the overall sediment budget analysis for the Maryland coast by coastal engineers at OCTI, the USACE Baltimore District, and the Waterways Experiment Station. 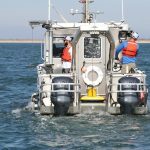 A dual-head Kongsberg multibeam system is used to collect high-resolution bathymetry data for a 3-sq. 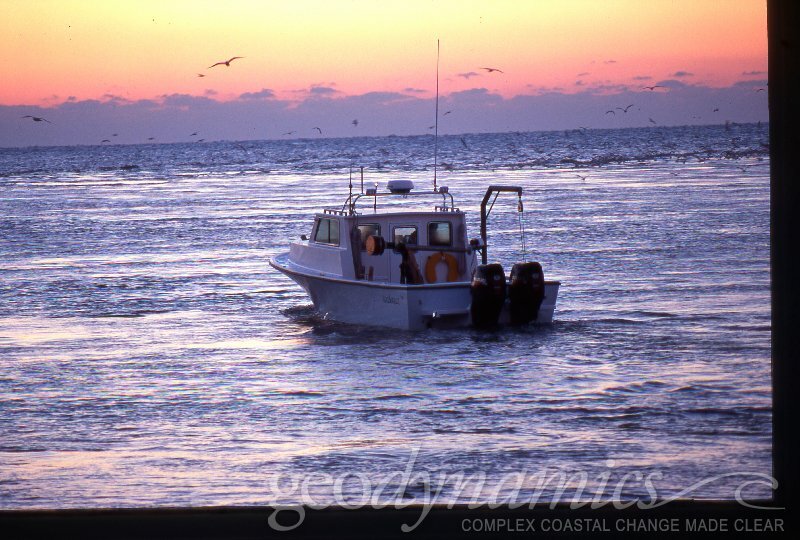 mile region, encompassing the navigation channel, ebb tidal delta and the flood tidal delta of the Inlet system. 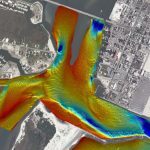 The high density of data points collected across this complex allows the client to accurately understand sediment transport, wave transformation and to make more accurate pre- and post-dredge volume calculations. These data have highlighted influences on the adjacent barrier islands with much greater accuracy than traditional 2D techniques provided previously, which allows the clients to accurately calculate ebb shoal replenishment, thus increasing dredging efficiency and identification of future borrow areas.